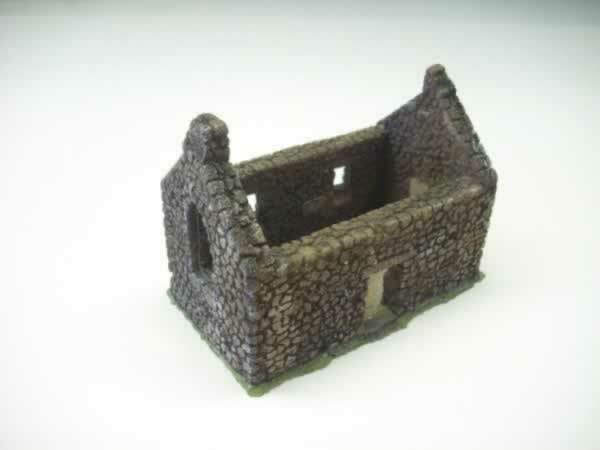 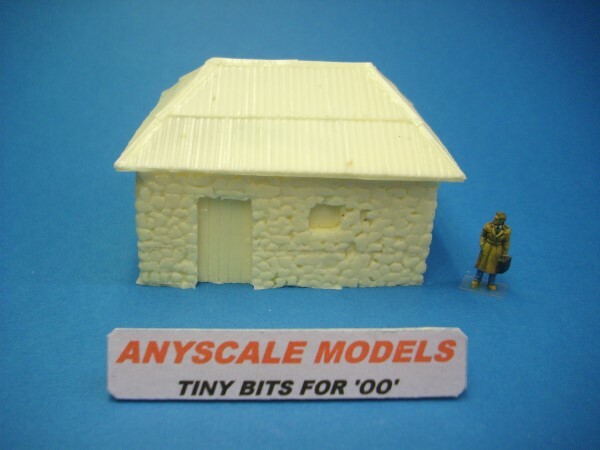 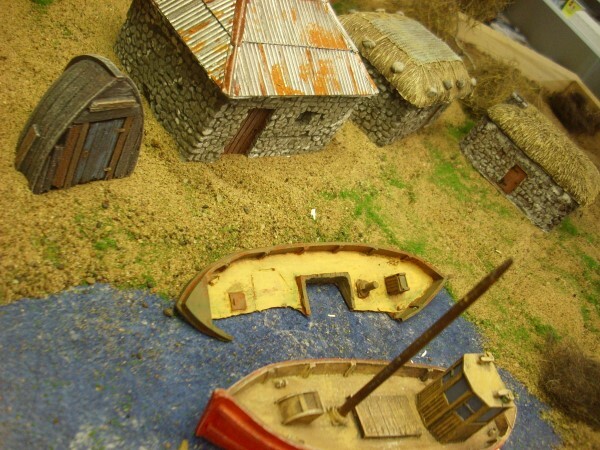 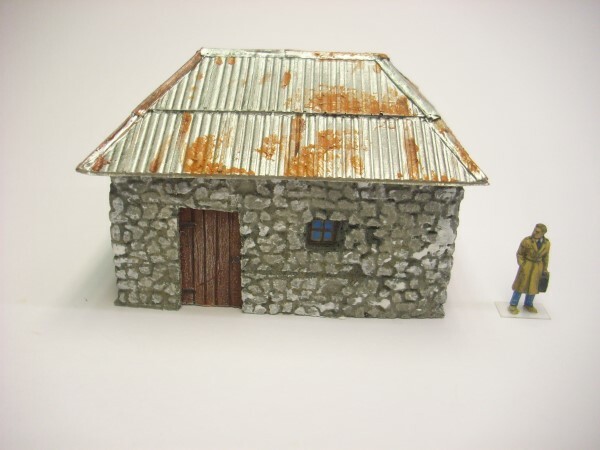 1:72 scale for OO railways or 20 mm wargames. 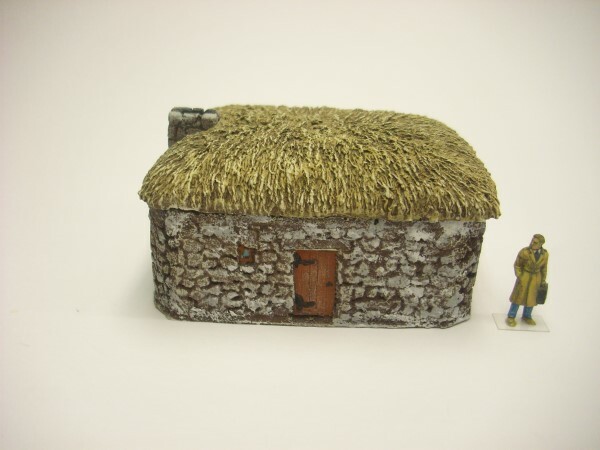 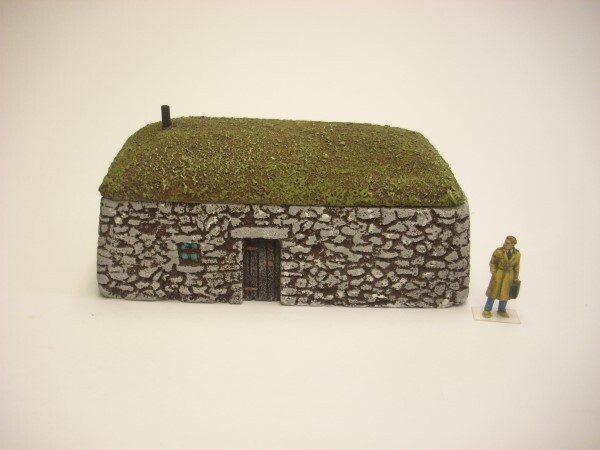 A typical stone built croft or farm outbuilding with a tin roof. 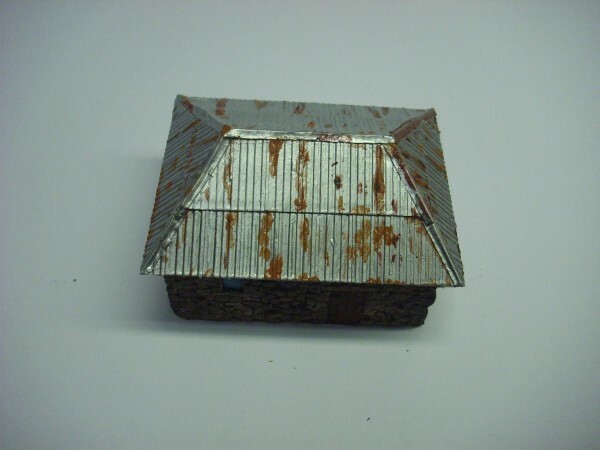 Hollow cast model with a removable roof.